If you would like your aerial shots to be edited and/or colour graded, we have all the post production facilities in place to provide you with broadcast quality footage. We can do this from our post production studio or if a fast turn around time is needed, we can do this on site with our mobile edit suite. We can even operate from our fully fitted vehicle ensuring a fast turn around. With over 15 years experience in post production, our partner company PTCreative can deliver the final footage in any edited format you require. We can supply you with the raw footage straight out of the camera or we can grade and render the rushes with your preferred codec. 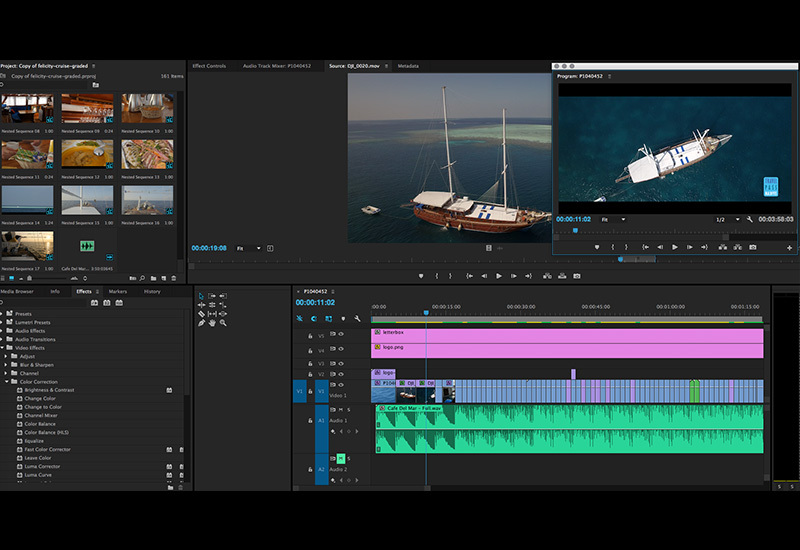 We use all Adobe products for editing including Premiere & After Effects. For grading we also use Divinci Resolve. 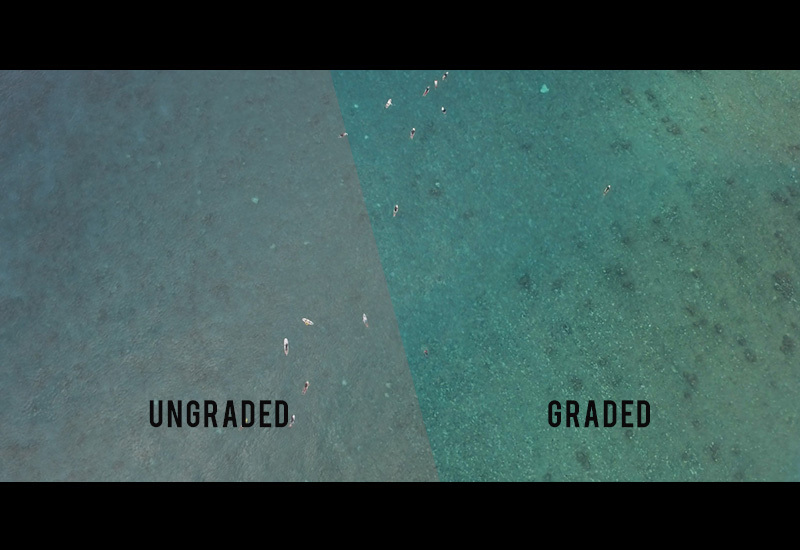 Editing Aerial Drone Footage and grading aerial footage differs from editing traditionally shot footage due to the nature of the changing compositions within a shot. It’s often a requirement to use a number of nodes & keyframes to ensure any gradual filter effects are in place on the sections of a shot that requires them. Speed ramping can also have a dramatic impact on longer shots. After editing and grading hundreds of hours of aerial footage, we feel we have refined this art somewhat. It is amazing how good post production can not only save a shot but make a cinematic shot. We prefer to shoot in a flat colour profile with all in camera sharpening etc tuned right down. This does generate what appears to be a washed out grey looking image straight out of the camera. However when we then grade the footage, adjusting the blacks, mid tones & highlights and then pop the colour back in, our images really do come to life. If the client prefers we can shoot in any profile and generate footage which is usable straight out of the camera. We understand that some clients often require their aerial shots to be edited and post produced as quickly as possible. When required, we will schedule the edit to commence immediately after the shoot and will try our best to provide the footage to you on the agreed timescale. If you would prefer to edit and post produce the aerial footage yourself, we will supply you with the raw footage on a hard drive after the flight has commenced. We can also supply you a sample graded version of one of the shots as an Adobe Premiere Project to get you started should you need a little help. Please feel free to contact us and discuss any filming requirements you may have.